An entrepreneur trying to map out the funding landscape today will find a much more complicated environment than existed just a decade ago. You used to jump from a friends and family round to a Series A investment. Then Series A became harder to get for early stage companies so “seed” investment firms emerged to fill that gap. Now you see “micro-seed” investment firms filling the gap that seed investors have more recently left open! For early stage investors, there has always been the option to avoid the “investment firm” altogether and try to raise funding from angel investors. For the purposes of this post, I consider angel investors to be people investing their own money rather than someone else’s, and I’m not considering those very (very) few angels that are professional investors, investing using the same model as an investment firm would. I was asked the other day if I had a pitch deck designed for such an angel investor. My answer was that it depends on the type of angel investor you’re pitching to. 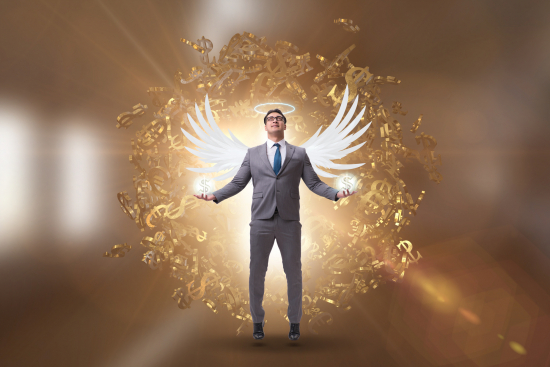 Angel investors are basically people with lots of money. They either made it or inherited it. You can slice and dice angel investors by the size of check they write, or by the industry they have the most experience in. I think about categorizing angels by how they got their money. Here are some (not comprehensive) examples of angels categorized by how they got their money. what you are doing from a design and technical perspective that will drive your users to adopt your product. Technical experts have gone through the challenges of having to build products that people don’t adopt. If they’re good at what they do / did, they’ll have learned to stay away from founders who aren’t as attuned to the importance of designing adoption-driving techniques into their products. Some technical experts may have also learned the hard way that building something that isn’t highly differentiated technically might still get you customers, but might not get your company acquired. Since all angels are investing for an eventual exit, these angels are going to steer clear of non-differentiated technology. The Marketing Angel is going to test you on how you’ll get past your early adopters and get enough visibility to drive growth. They will drill down into your go-to-market strategy to see if you understand how to build a realistic one. If you’re pitching a B2B business, you’d better be pitching to a B2B Marketing Angel. If it’s a B2C business, pitch it to a B2C Marketing Angel. While B2B and B2C businesses are different for a lot of reasons, how you market your product has got to be one of the biggest differences between the two models. What your sales model is and why you chose that model over other options. Like all angels, the Sales Angel cares about all aspects of your business plan. It’s just that they are likely to dig deeper into your sales strategy than the other types of angels. By this point, you’ve figured out that the angel’s background is going to dictate which topic they are likely to spend most of their conversation with you. First, you need to be enough of an expert across the different functions to be able to intelligently speak to the area that the angel is most likely to go deep on. If you’re a serial entrepreneur, you have already figured this out. If not, then you get to this point by talking to lots of experts and getting their advice before you head out for funding. Second, you need to be a strong listener to be able to hear where each particular angel investor is driving the discussion and then going there rather than trying to pull them back to your pre-prepared deck. All the concerns described by my hypothetical experts above are valid. Meeting with angels of different backgrounds turns out to be a great way to test your overall business strategy and get great feedback on areas you need to think through in more detail. But if you’re also trying to get funded by them, not just get advice from them, then you also need to tune your pitch to their particular areas of focus. There’s one other angel type out there that I haven’t yet mentioned. These are guys (mostly guys) that have been in the right company at the right time and came out with millions without the years of hard work it takes others to get there, or sometimes the people who have family money. Taking money from any angel investor comes with its own set of burdens, but doubly so from the Non-Expert Angel. Some angels might invest in you and leave you alone to run your business except when you call them for advice. But many angels will want to be frequently updated on how your business is going. This kind of angel can take up a lot of your time, especially if growth is slower than they expected. In some cases, their interest in your business is invaluable because of the advice they can provide. In other cases, I’ve seen angel investors become as distracting and annoying to an entrepreneur as a back-seat driver. So if you end up taking this advice and find yourself lucky enough to have a number of angels interested in investing in your company, take the next step and think about which of those angels are most likely to help you, rather than distract you, from growing your business.